Stay Connected Receive alerts as jobs in your area or matching your interests become available. Catering Servers/Bartenders ~ On-Call Positions! Sous Chef ~ Great Daytime Hours! Dishwasher/Utility Positions ~ Full-time or Part-time! Cooks & Cashiers ~ Day & Evening Shifts ~ Full- or Part-Time! Cook ~ Private Boarding School ~ Great Pay! Food Service Workers ~ Private College ~ Beautiful Campus. Sous Chef ~ Culinary Support ~ Baltimore Area Locations! District Manager ~ Campus Dining ~ Western U.S.
District Manager ~ Campus Dining ~ Western U. S.
Utility/Dishwasher ~ Private School ~ Weekdays! Dishwasher/Utility ~ Full-Time & Part-Time Positions! Cook ~ Weekdays ~ Starts in September! Utility / Dishwasher ~ Boarding School! Cook ~ Private School ~ Weekdays! Prep Cook/Receiver ~ Private Boarding School! Cashier ~ Private School ~ Great Hours! Lead Cook ~ Private School ~ Weekdays! Food Service Workers ~ Private School ~ Weekdays! Dishwasher/Utility ~ Start a Career! Cook ~ Salads & Desserts ~ Weekdays! Lead Line Cook ~ Private School! Cook ~ Private School ~ Career Growth! Cold Prep/Line Server ~ Private Boarding School! 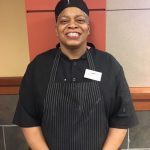 Food Service Worker ~ Weekdays! Weekend Prep Cook/Server ~ Private School! Dishwasher/Utilty ~ Great Hours! ~ Private School! Dining Room Attendant/Line Server ~ Private School! Prep Cook/Server ~ Private School! Catering Server ~ Private University! Dishwasher/Prep Cook ~ Private Boarding School! Prep Cook/Server ~ Weekdays ~ Great Pay! Lead Cook ~ Private School! Dishwasher/Utility ~Week Days! Private School! Prep Cook ~ Private School! Prep Cook / Cook ~ Weekdays & Weekends! 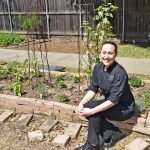 Lead Cook ~ Private School ~ Great Opportunity! Cook ~ On Bus Route ~ Private University! Cook ~ Full-Time & Part-Time Available! Cooks ~ Weekdays ~ Awesome Pay Rate! Dishwasher / Prep Cook ~ Weekends & Evenings! Prep Cook/Kitchen Utility ~ Private School! Cook ~ Private School ~ Scratch Meals! Lead Cook ~ Weekdays ~ Meals from Scratch! Dishwasher/Utility ~ Private Day School! Prep Cook/Dishwasher ~ Private School! Prep Cook/Server ~ Weekdays ~ Private School! Prep Cook/Server ~ Great Opportunity! Experienced Cook ~ University ~ Scratch Meals! Kitchen Utility ~ Private School ~ Great Hours! Prep Cook ~ Private Day School ~ Most Weekends Off! Cook Needed ~ Private Day School ~ Most Weekends Off! Lead Cook/Sous Chef ~ Private School! Cook ~ Weekdays ~ Great Team! Prep Cook / Server ~ Weekdays! Food Service Workers ~ Weekdays! Utility/Dishwashers ~ Weekends ~ Private School! Food Service Workers ~ Cooks, Prep, Utility ~ Private School! Line Server ~ Private School ~ Weekdays! Hourly Executive Chef ~ Weekdays! Dishwasher/Utility ~ Private Boarding School! 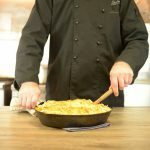 Lead Cook ~ Meals from Scratch ~ Career Opportunity! Dishwasher/Prep Cook ~ Weekdays ~ Private School! Dishwasher / Utility ~Private School! Cook/Server ~ Private School ~ Nights & Weekends!